90-minute comedy featuring Zoltan Kaszas, Dustin Nickerson, and Patrick DeGuire. Emceed by Josh Lawson. Pre-show will include snacks and drinks. No food is permitted inside the actual theater area. Be sure to get your ticket before they’re sold out! ​Over the last few years, his wise cracks have won him The Seattle International Comedy Competition, The San Diego Comedy Festival, San Diego’s Funniest Person Contest, and The Rockstar Energy Drink Comedy Throwdown. ​A 2015 finalist in San Diego’s Funniest Person Contest, Dustin Nickerson performs in clubs, colleges, corporate events, churches, casinos, and colleges throughout the country. Dustin brings you into his life through his jokes about marriage, kids, culture, childhood, and being called “Justin” his whole life. Original, candid, poignant, observational, relatable, and engaging are words often used to describe Dustin’s brand of comedy. 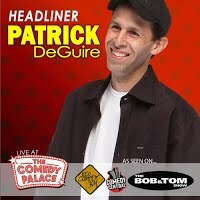 He’s been seen on the Fox, the PBS Comedy Hour, Hulu, Rooftop Comedy, ComedyTime TV, UT-TV, and is a weekend regular at dozens of clubs across the country. 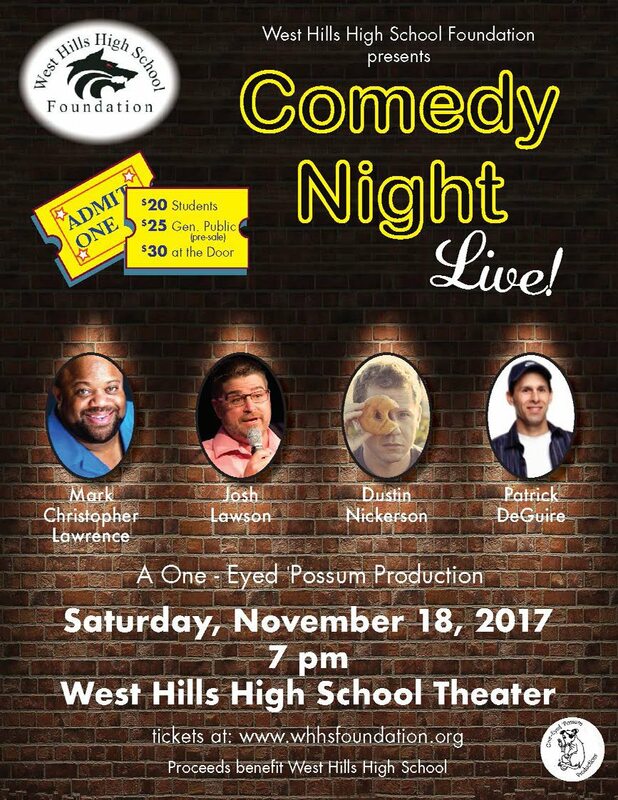 He’s showcased for Comedy Central Up Next, the Christian Comedy Association National Conference, has been heard on the Daren Streblow Comedy Show, KSDW 88.9FM, as well as the Scott and BR Show on 1090AM. Josh’s storytelling style allows him to share the mischief that finds him while on service trips around the world helping those in need and poke fun at the day-to-day challenges of a new marriage and a blended family. Josh was born and raised in San Diego and has hosted comedy shows for the military all over Southern California, as well as performing at clubs from coast to coast.